3. 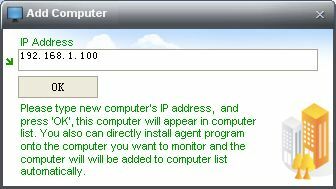 Fill the IP address of the computer you want to monitor. 5. A computer was successfully added.